Posted in: Lyn D jewelry design. In my local crafters club, The Torrance Craftsmen’s Guild, we have a great number of talented artists. While recently participating in a craft show, I had the time to leave my booth and browse – to check out some of the goodies that our craft club members had made and were up for sale. Lena’s booth is one of my favorites. She makes beautifully crocheted pieces of wearable art, sews flowing ‘butterfly’ blouses, and makes creative jewelry with small seed beads (those little beads intimidate me!). At her table I spied a lovely beaded bracelet with the most unusual combination of colors – yellow, green, purple, and white. After many compliments on her creativity and use of colors, she shared a confession with me – while out strolling in Kenneth Hahn Park, Lena came upon the most unusual and curious looking flower, one she had never seen before. She was inspired by the colors and decided to rush home and make something using those colors, capturing the flower’s beauty forever in her mind. Well, I too happen to love color. 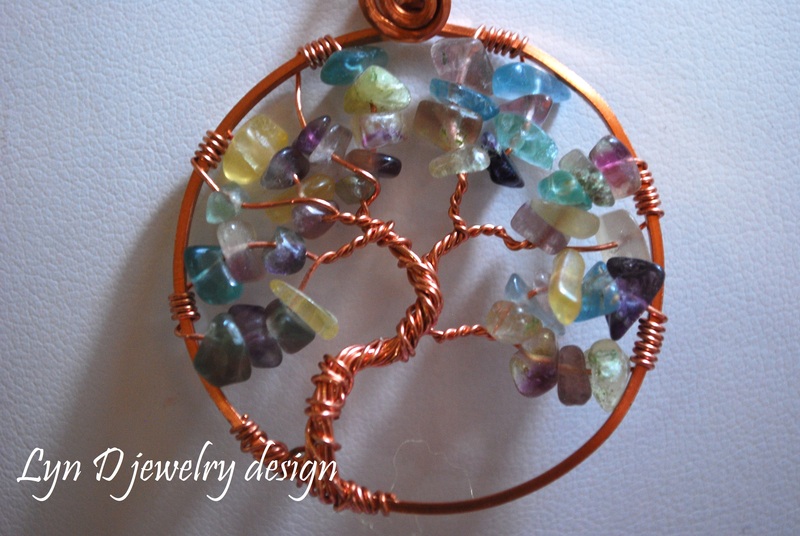 In fact, color is what initially got me hooked on stones and beads. Anyhow, I stared at that pretty little bracelet for awhile, and then it hit me – I KNEW the flower Lena had seen! I hurriedly went back to my booth, rummaged thru my photo greeting cards (yes, I do a bit of photography as well), and found a picture of that flower. It is called a Passion Flower – Passiflora. I knew this because the passion flower had always been a favorite of mine and as a kid I looked forward to the flowers blooming on our fence vine. I rushed the photo card back to Lena to confirm my thoughts. BINGO! What follows is the story of the Passion Flower. Given that today is Good Friday, I thought today would be a fitting time to share this story, a flower’s story of the Passion of the Christ. Oh, yes – Lena was thrilled to finally know the name of the uniquely beautiful flower she saw that day in the park! And, I believe, she charmingly captured the flower’s colors in her pretty little bracelet. 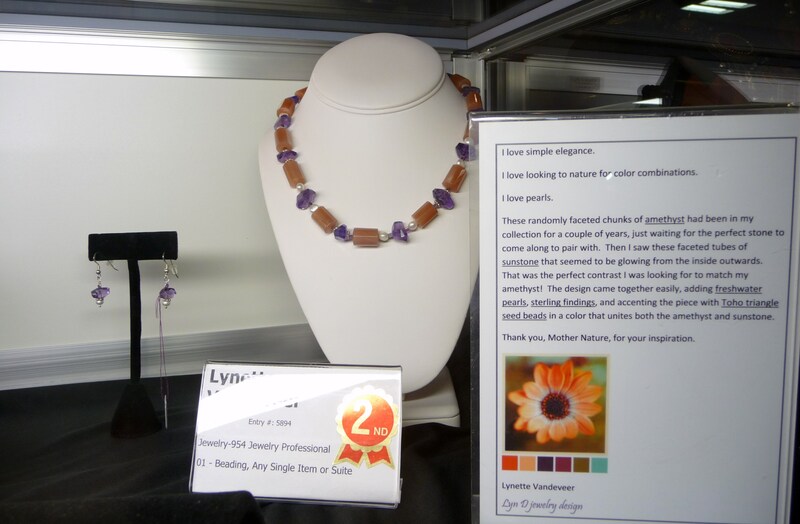 Posted in: Lyn D jewelry design, Lynette Vandeveer. Tagged: beautiful, Lyn D jewelry design, Lynette Vandeveer, renaissance, renaissance woman. Recently, a friend of mine referred to me as “A real Renaissance woman”. I knew it was meant to be a compliment so I smiled and said, “thank you!” While I always enjoyed dressing up and going to the Renaissance Faire, I must confess: I really had no idea what a “Renaissance woman” was. So I looked it up in our modern day encyclopedia, the internet. Hmmm… OK, I’ll accept that. While I have profound knowledge in my jewelry making, I also have knowledge of and great appreciation and proficiency in several other fields. To name a few, there’s sailing, music (especially old R&B and Motown, late 50’s and 60’s rock and roll music, and 1970’s rock music, New Wave, and disco – stop the teasing! ), dancing to that music, cooking, wine appreciation, family board games like Scrabble and Taboo, card games including poker and Cribbage, baseball, road trips, fishing (freshwater preferred), animals and flowers, cruising – I could go on. While I do or have been all the above, I believe that the most important traits to practice on a daily basis are courtesy, thoughtfulness, generosity, and bravery; and especially one which is not listed: happiness. We owe it to ourselves and all those we love to be happy – happy with who we are and happy with what we have. Me? A Renaissance woman? I guess the answer would be yes. And thank you, my friend, for giving me one of the best compliments ever. Posted in: Hand Polished Stones, Lyn D jewelry design, Lynette Vandeveer. Tagged: agate, beautiful, blue tiger eye, chatoyance, earthy, Lyn D jewelry design, Lynette Vandeveer, polished stones, tiger eye. Chatoyant. Chatoyance. Chatoyancy. I love the way the word flows off my tongue. It has such a beautiful feel to the mouth when spoken. Yummy. But enough about the sensuality of the word, let’s talk about what it means! Have you ever looked at a stone and noticed the light dancing inside? Have you ever looked at a polished stone and saw what looked like ‘angel hair’, that white iridescent trim and stringy stuff we used to put on Christmas trees (before it was banned)? Have you ever looked at a polished agate and were teased by what might be a hologram somewhere within the lines of the stone? This is chatoyance – the playful dance of light caused by fibrous inclusions or cavities within a stone. 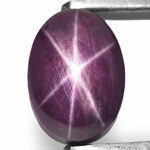 It is what creates the ‘star’ in a star sapphire or star ruby. When polishing stones, nothing thrills me more than to discover that my piece is waiting for me to bring out its chatoyance, the inner glow, the soul of the stone. 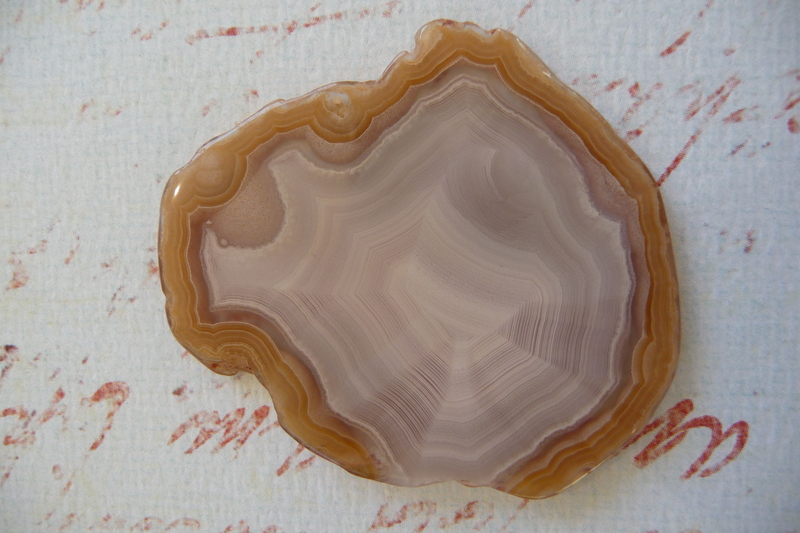 Beautiful chatoyant AGATE, from my collection. 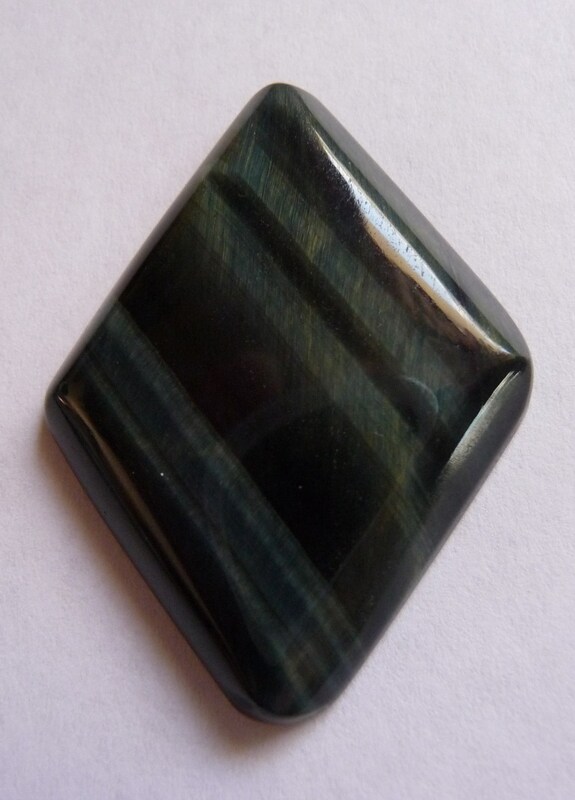 BLUE TIGER EYE, hand polished by me. Posted in: Lyn D jewelry design. Tagged: #happy, #summer. These lyrics from a song by War describe my feelings exactly. I LOVE summer! The warmth of the season brings out the best in me, the sunshine makes me smile and warms my heart. And then there is my birthday, right smack dab in the middle of summer. I am blessed to celebrate the day with my wonderful husband, beloved cat Aja, and friends whom I love fondly. To all of you, my website friends and family, I wish the most lovely of summers. May you all enjoy the season with family, friends, barbecues, laughter, and song. Posted in: Lyn D jewelry design. Tagged: bling, Happy New Year. Cheers to you all and here’s to a fantastic 2014! Keep checking in for upcoming show dates and new product. I just got back from Arizona with some great items for some very earthy products. Don’t worry, I will still continue making the bling! 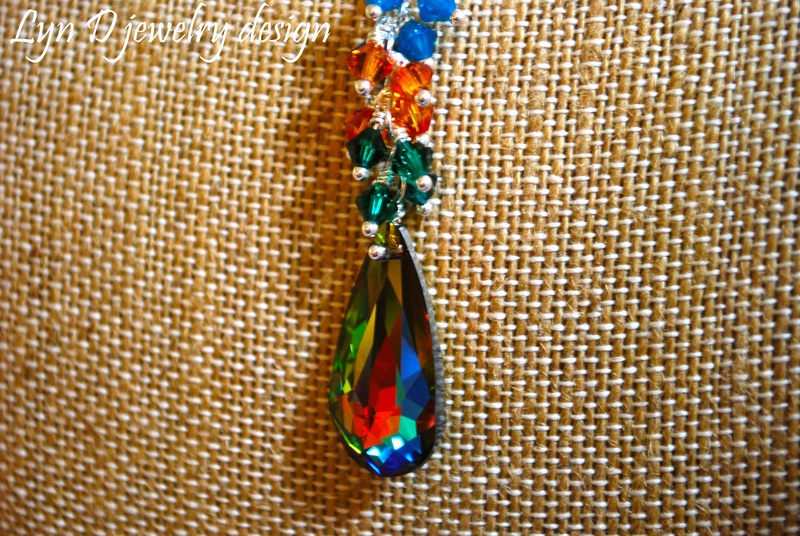 Posted in: Earrings, Lyn D jewelry design, Necklace. 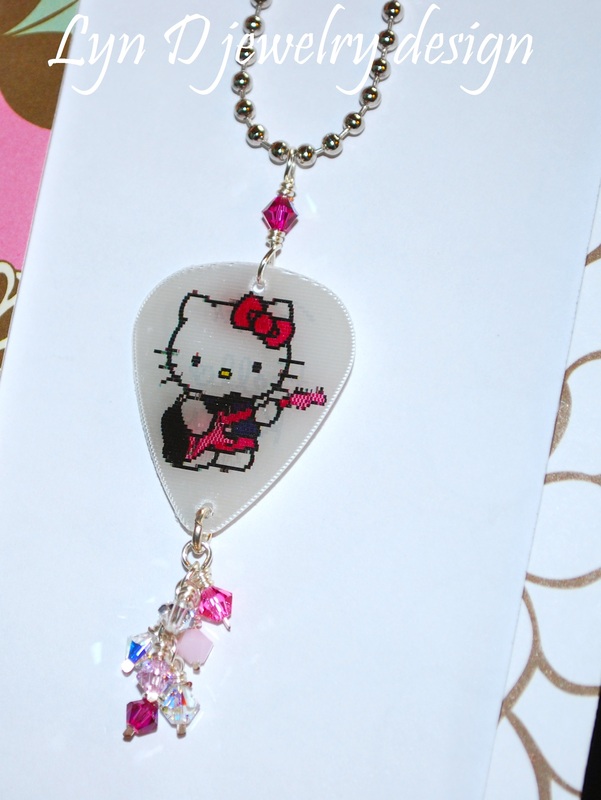 Tagged: cute, guitar pick, Hello Kitty, Lynette Vandeveer, necklace, pink, Swarovski crystal. Not to worry… I can make another of these adorable Hello Kitty guitar pick necklaces. She is irresistible with Swarovski crystals in pinks, white, and aurora borealis. And when the guitar pick is in motion, White Kitty strums the guitar. Ahhhh… we love her.